Speed Systems have been manufacturing quality, field-tested products for over 45 years. Their tools are designed and built in a manufacturing facility in Brookfield, WI in the United States and G.V.Kinsman is a proud Australian distributor. Speed Systems focus on safety, efficiency, ergonomics and value as they design and build tools to meet specific customer needs. G.V.Kinsman offer solutions for preparing primary and secondary cable for termination, as well as products for installing specific cable system components. G.V.Kinsman take pride in supplying high quality tools and look forward to working with you on your specific applications or needs. 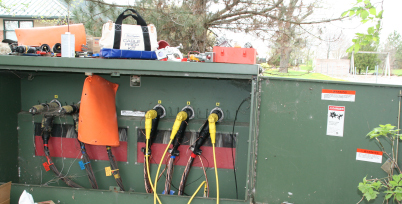 Speed Systems tools are advantageous to linemen in the electrical utility industry in many ways. 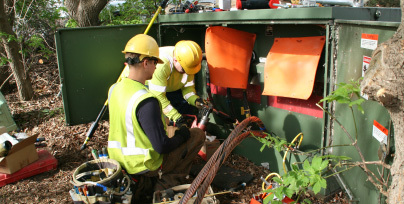 Ergonomics and Safety – Speed Systems tools enable a safe, ergonomic way of cable stripping and termination. Using alternative methods or tools, such as knives, can cause short- or long-term injuries. Consistency and Precision – Speed Systems tools provide linemen with expected results that cannot be assured when using alternative methods. This is important to prevent nicks and cuts (see below) that can lead to eventual failures. Customer Service and Lead Time Efficiency – our customer-focused knowledge and service as well as lead time efficiency sets us apart from the competition.